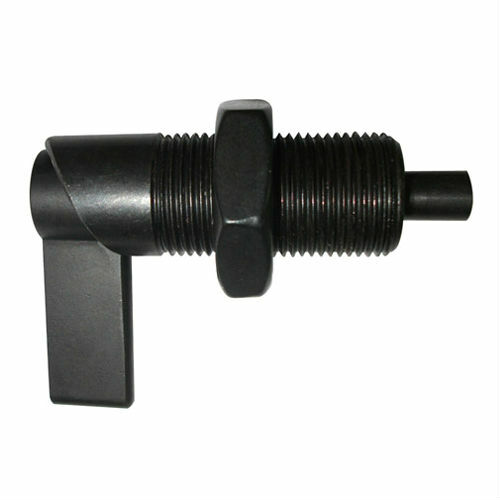 Request a quote for Cam Action - Retractable Plunger without Nylon Patch today. This cam action retractable plunger (also known as an indexing plunger) is manufactured from the highest quality steel and stainless steel, and has been designed and tested for ultimate durability and reliability. Indexing adjustments are easily made via the quick turning cam action with a locking feature to keep the pin fully retracted past 180 degrees. This plunger has been designed and tested to withstand side loading. Please see component diagram below.